The real estate market is booming and continues to be one of the safest and most lucrative investments in America. While fix-and-flips and becoming a landlord are common entries into real estate investment, there are other options you should consider. Subdivision developments, for instance, may require a smaller investment but still have a high payoff. Contact Capital Fund 1 for more information on our loan programs! What Is a Subdivision Loan? Also called a land acquisition loan or land development loan by some lenders, a subdivision loan allows you to borrow funds to purchase land for the purpose of improving it. These improvements convert the investment from raw land to building sites that are ready for construction. To do this, investors typically purchase much larger plots of land, break them into smaller parcels, and construct, make, or install the necessary improvements. Sometimes the plots of land are sold together to a builder or development company, and other times, the land is sold separately to individuals who are looking for a new site to build their dream home. 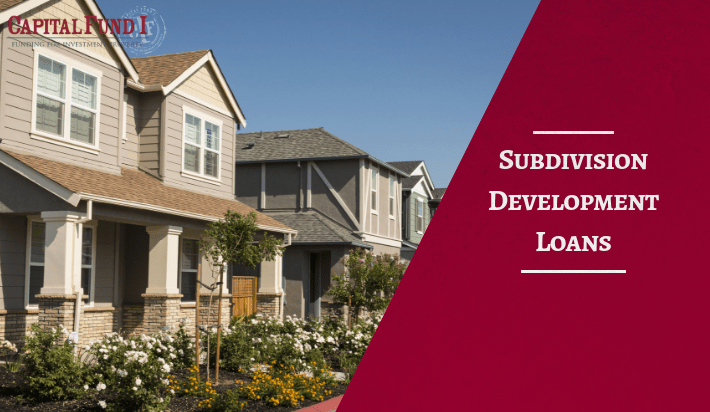 What Kind of Subdivision Improvements Can the Loan Fund? When you secure a subdivision loan, anything that makes it easier for builders to construct new homes is an improvement covered by the loan. Do I Have to Improve the Land? Whether or not you must improve the land before selling, and how quickly you must re-sell, depends on your financial situation and your loan terms. Sometimes, a lender may allow you to buy and hold the land. When development begins to happen around your plot(s) of land, builders will then enter into an agreement with you to secure the property you hold. You sell at a profit and then repay any related debts. How Easy Is It to Secure a Land Acquisition or Subdivision Loan? These types of loans are much more difficult to secure than the loan for a home mortgage. This is because the absence of a house often makes it more likely that a borrower may default on the loan. 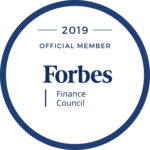 Because of this, many traditional banks may only fund you if you have a high credit score and a high, reliable source of income. Thankfully, there are many other lenders who will assist you with securing a loan. Some may require credit checks, while some may base their decision on current assets you hold or equity from other mortgages. Your specific terms will depend on your financial situation, the lender you choose, and the terms on which you both agree. At Capital Fund 1, we also make it easy for our borrowers to refinance from horizontal construction into vertical construction of the subdivision. We also provide concurrent loans to help the builder/developer move their projects along smoothly. Are Certain Areas Better for Borrowing? When it comes to these loan types, it’s a good idea to check the migration patterns in the area. The more people moving into an area, the more likely a creditor is to fund your investment. However, if there are a lot of people leaving the area, obtaining funding may become more difficult. Currently, Americans are moving into the warmer climate belts, so urban areas in the south are your best bet. Purchasing investment property is a big step, and we understand that you may have questions. To get those questions answered, contact us at 480-889-6100. If you’re ready to get the ball rolling, then use this form to request a loan. We don’t do credit checks, won’t ask for your tax returns, and can provide you with an answer in just 24 hours.